These gnocchi are light and soft. Have made this recipe several times with constistently great results. The only variation I make is to completely cool the potatoes after adding the egg yolk and before adding the flour. My mum used to say that cold potatoes absorbed less flour resulting in lighter, softer gnocchi. Of course, that leaves aside the whole debate as to whether gnocchi should be soft or firm! Personally, I prefer a firmer gnoccho for heavier sauces ie blue cheese. 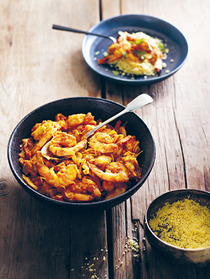 Great 'make on the weekend and reheat/finish off' dish. Very tasty. Really yummy! Lemony, moist, tender crumb .... surprising!! 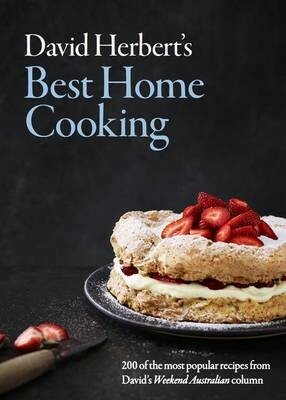 In this generous collection, David Herbert brings together 200 of his most-loved recipes from his popular column in the Weekend Australian. David is well known for his down-to-earth style, using simple, well-chosen flavours to create delicious recipes that are sure to please the whole family. Taking his cue from glowing testimonials from his readers, David handpicked his most-requested recipes, covering everything from party food, warming soups, roasts and casseroles, fresh salads and pasta dishes, naughty desserts and, of course, his ever-popular cakes, muffins and biscuits. In short, you'll find everything you need to cook for the people you love.